RIP. Was my favorite Windows. It being "oficially" dead doesn't mean much, it was pretty much dead years ago and people who still use it don't care for Microsoft support otherwise they would switch by now. trgz, veLa, Theinsanegamer and 1 other person like this. onestepforward and ShagnWagn like this. I see so many legacy XP systems in small businesses and industrial companies, especially as conduits for specialized experimentation equipment (like chromatography or spectroscopy) that I can't see XP losing market share for a long time. In smaller, less funded research labs, frequently the equipment will only run on XP or earlier, as the manufacturer has stopped providing updates for that dated model. I know MS (and the individuals at these companies) would prefer to use newer and more secure software, but when a "free" upgrade to W10 also means replacing a $10,000 piece of machinery, that just won't happen. I'm rambling here, sorry, just my area of expertise and the unfortunate state of affairs for many researchers (myself included). trgz, EClyde, onestepforward and 4 others like this. XP is a long way from being dead. So much embedded equipment uses it, and said equipment can cost an eye-watering amount to upgrade. That being said, I havent seen it in use for an end user system in quite some time. It seems to be mostly dead in that regard, although I still have a copy for use on my retro machine. It'd be cool if MS made these OSes free to download again for those of us that support legacy hardware or just like to screw around with old OSes. onestepforward, Godel, Underdog and 1 other person like this. That would assume M$ is user/customer oriented -- lots of luck. Micro$lop had two winners: XP and win7. Vista, 2000, win8 were ugly losers and 95 was so/so. win10 I am not even going to rate. doomworm, EClyde and Underdog like this. RIP. Was my favorite Windows. It being "officially" dead doesn't mean much, it was pretty much dead years ago and people who still use it don't care for Microsoft support otherwise they would switch by now. Agree completely. We have several pieces of electronic equipment at my work that are run by computers running XP. They aren't connected to the net, simply dedicated to running just that instrument. The suppliers aren't going to update the software for 20-year-old machines that run perfectly fine. This "dead" moniker is just kind of funny. The work as well today as they did 10+ years ago. trgz, EClyde, onestepforward and 1 other person like this. Users like you are the bane of IT technicians. Drew Valadez and drjekelmrhyde like this. Equipment manufacturers should be required by law to put the source code of their embedded programs into escrow and for it to be available for release as soon as the company ceases to support the particular equipment. Lots of military equipment is using XP for their GUI. Does that mean some of the rocket, artillery and situational awareness systems will lose tech support? Oh man. Not good. Really not good. It could actually reduce the rate of killing of innocent civilians. I remember reading somewhere they worked out something with Microsoft and have support specifically for them only. Like military, scientific, etc, are still using it with special exclusive licensing. Case in point: I still support a program that requires a PC running Windows 3.11 because the hardware vendor never provided drivers that works on Win95, and has since gone out of business. The company isn't willing to spend thousands to upgrade the hardware and re-engineer the software (which of course, isn't documented at all). Ironically, said PC is by default the most secure we have, since it's impossible to network, and as it's floppy drive is dead there's no physical way to get anything on or off it. Micro$lop had two winners: XP and win7. Vista, 2000, win8 were ugly losers and 95 was so/so. win10 I am not even going to rate..
3.11 was fine for it's time. 95 was a mess due to only half-implementing a working 32-bit API layer. 2000 was a mess, due to being an unplanned OS release due to customer demand. 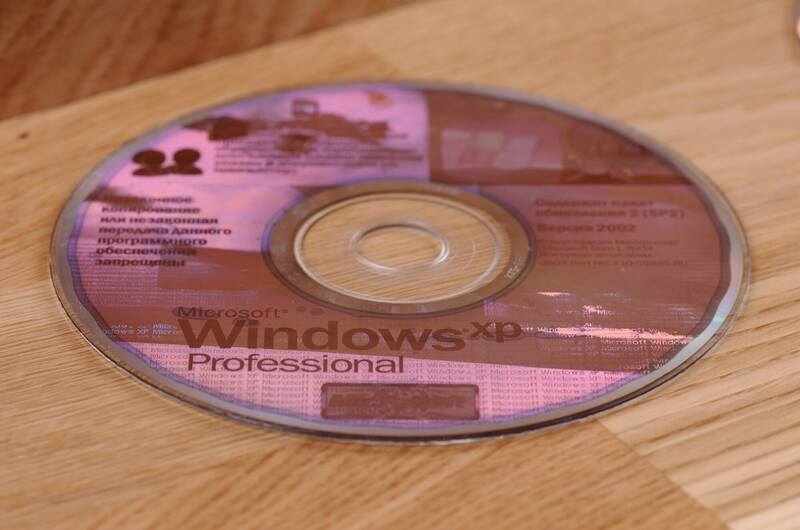 XP was fine, especially as of SP2. Vista was OK if you got past the naggy UAC and had the necessary HW specs to run it properly. 8/8.1 was a poor desktop OS due to poor GUI design. 10 is fine, if you get past the telemetry. Every other release of Windows tends to be solid; it's the in-between ones that tend to be poor. Sounds to me like a disaster waiting to happen... I am not sure if P2V is possible with such old O/S. Windows 2000 was great; I think you may be confusing it with Windows Me. My last company - lots of XP machines lived in the labs. They did their jobs just fine, and the applications they ran needed nothing more. I suspect there will be MANY more 'offline' XP machines for many years to come. ME was amazing for me, it is what started my interest in computers because I was always trying to figure out how to fix the stupid thing. Meh, its driving a custom HW solution that's one of a kind (early 1980s tech); as long as it keeps working there's no "value" lost. Point being, it's not worth the time and effort to bother porting the software to something modern. My sentiments exactly! I would be running 10 on my farm at home if it weren't for the blatant privacy issues and telemetry. I am forced to use it on my workstation at work. It took SEVERAL hours to trim out most of the bullcrap, but there is still junk running that shouldn't be there. There is no way in the OS to take it out. I tried to speak with them about the privacy issues, but they didn't care so I guess it is the company's problem when our company data is thrown out on the internet for anyone to hack. Exactly what MS wants. I had Windows 98 and had to upgrade to Windows XP using a CD RIP. I upgraded all my computers. Loved using it, but it did have a lot of bugs. Windows 10 is the best windows EVER. I appreciate the free upgrade from that disgusting 8 and 8.1. You're just using it wrong!